A two years Galactic Empire player story! Is it possible to build a team with abilities that can't be evaded? 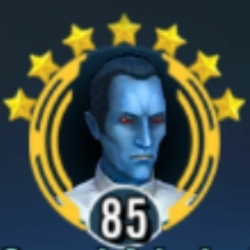 How much health zeta Sidious get under DN leader? How to un-dismiss a topic? How to deal with Chirrut and Baze in Rex/Kenobi/Maul zeta team? Does Darth Nihilus work under Vader (zeta) leadership? Pai Gor Din - Guilda Brasileira divertida - Procurando por membros ativos! Is Vader viable in arena at 5*? Can we level up Snowtrooper? How does auto mode work? What are mining droids for?